I, Zabih Toosky, am the primary inventor of the circuit in this patent. 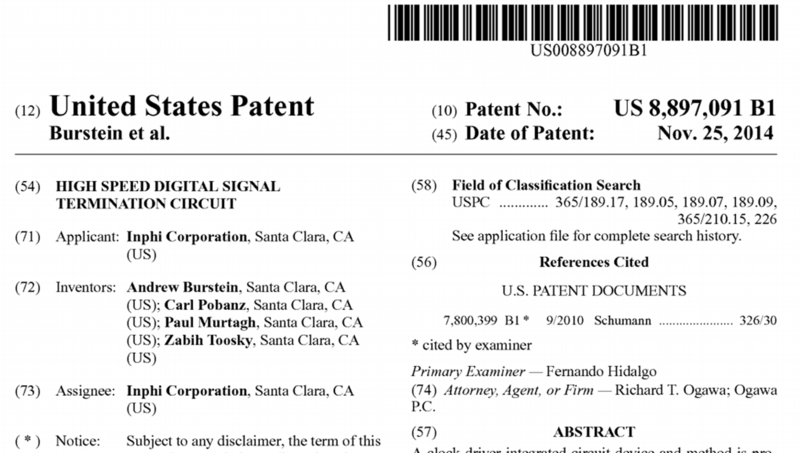 Why does Andy Burstein's name appear first on Google Patents' list of inventors? Google has nothing to do with the order of inventor, they host just display and index tools. it displays the exact order as listed in USPTO granted patent. Most likely your attorney/agent has listed name in alphabetical order. (f) Correcting or updating the name of an inventor: Any request to correct or update the name of the inventor or a joint inventor, or the order of the names of joint inventors, in a nonprovisional application must include: (1) An application data sheet in accordance with §1.76 that identifies each inventor by his or her legal name in the desired order; and (2) The processing fee set forth in §1.17(i). ................. and allows an applicant to adjust the order of the names of joint inventors (e.g., to control the order of names on a printed patent). 37 CFR 1.48(f) specifically provides that any request to correct or update the name of the inventor or a joint inventor, or the order of the names of joint inventors, in a nonprovisional application must include: (1) an application data sheet in accordance with 37 CFR 1.76 that identifies each inventor by his or her legal name in the desired order; and (2) the processing fee set forth in 37 CFR 1.17(i). The request should also identify the desired inventor name change. Not the answer you're looking for? Browse other questions tagged post-grant inventorship format or ask your own question.